Providing Choices for Individuals with Autism & Intellectual Disabilities. Keystone offers multiple day program options to choose from, dependent upon the specific needs of the individual. We offer an assortment of day service options as a means of fostering fulfillment and life satisfaction. 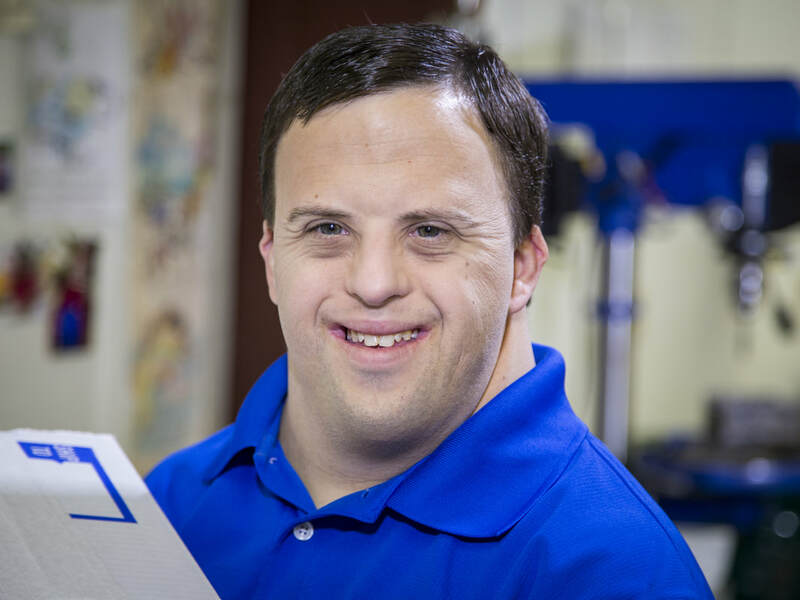 Whether in need of enhancing vocational skills, locating community job placement, or simply providing meaningful leisure opportunities, Keystone offers program options to serve the daytime needs of individuals with autism and developmental disabilities. interested in participating in the work force. Through our vocational and employment programs, individuals have the opportunity to work in a variety of employment settings. 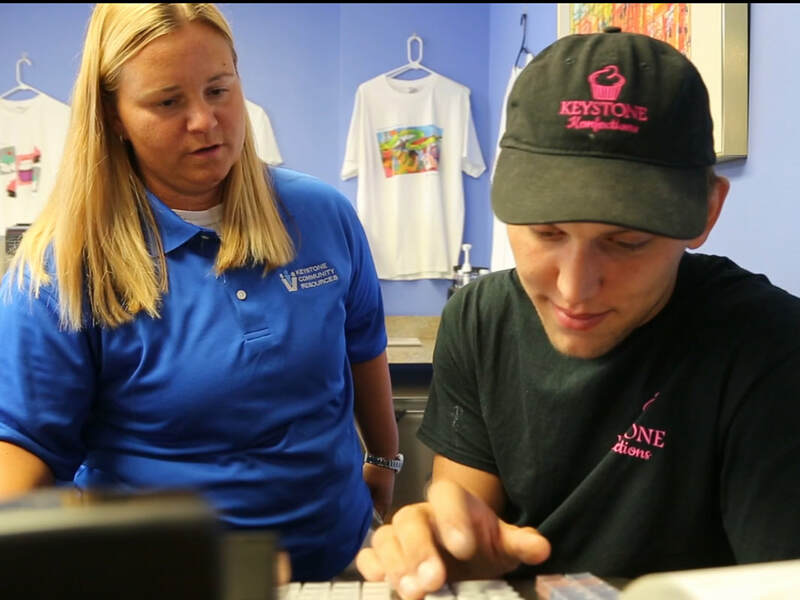 Keystone's newest day service venture involves the opportunity to partner with the community in the development and provision of an assortment of services provided for the local community. ​Pre-employment and Vocational Training: Where individuals learn skills necessary for the work environment prior to placement in a work area or job. Assembly and Packaging: This program was developed to provide individuals with realistic and meaningful work experiences such as those that would be found in a factory. Supported Employment: This opportunity is provided to individuals who have the desire and ability to work in a competitive job. Workers are carefully screened and assessed for compatibility in a particular field. A job coach is provided to assist the employer in training the worker. Support services are available throughout the term of employment. Day Activities: Activities of daily living, recreation and leisure skills are emphasized for those who choose not to become employed or who need enhanced daily life skills to motivate their movement toward independence. Leisure Program: A wide array of leisure programs are available for those individuals who are employed in the evenings or who work part time. ​All individuals are assessed prior to admission via personal interview, record review and tour of our facilities. During that time, information is gathered through questions, solicitation of goals and past achievements as appropriate. Family members and/or significant others are also brought into this process for information sharing particularly if the individual needs assistance to communicate their wants and needs. Based on the interdisciplinary team of medical, clinical, vocational, support personnel and the individual, the placement will be identified. This placement will be directly related to the information gained during the interviews in order to maximize the choice and goal attainment of the individual. Review of the placement and success is monitored monthly, quarterly and annually. The individual also at any time can secure movement from one program level to the next through skill development based on the goals that they have agreed to and work each day to attain. KCR Day Options are open to waiver eligible individuals. We have 10 Day Options program locations spread across North East Pennsylvania, in Lackawanna, Luzerne, Susquehanna & Wyoming Counties. Visit our Directions page for more specifics. The vision of Keystone Community Resources, Inc. was to create an environment in the community that would allow individuals to grow to their fullest potential. Keystone has provided to this need since our start in 1964. We believe that all individuals have a right, and a choice, to how they contribute to the world. Keystone Community Resources provides a variety of day options, customized to each individual’s needs and choices. Our programs are a stepping stone toward community integration & supported employment. We are committed to creating opportunities, not only within our day & vocational sites, but the surrounding community as well. Employment/Vocational services – Department of Public Welfare 2390 regulations. Day Activities services – Department of Public Welfare 2380 regulations. ​please contact our Admissions Coordinator.